A few months ago we met Tom Brown from Washington DC. 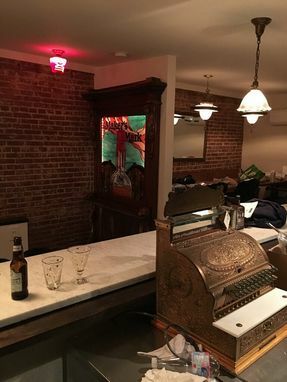 He is the owner of an awesome new upscale cocktail bar call Left Door. 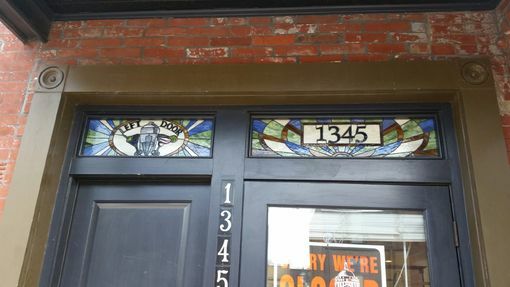 We were commissioned by Tom to create his front entry transoms with a logo for his bar (last photo listed). 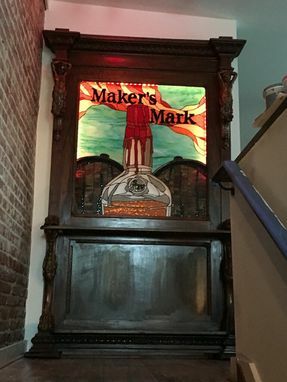 Then, more recently as he was remodeling the space, Maker's Mark commisioned us to make this cool piece for the top of the stairway. The woodwork is antique piece that Tom found and repurposed. Visit his place and you'll see lots of cool re-purposed pics that tom has created himself. Size: 38 ½ wide X 41 tall. Note: This item is not for sale. 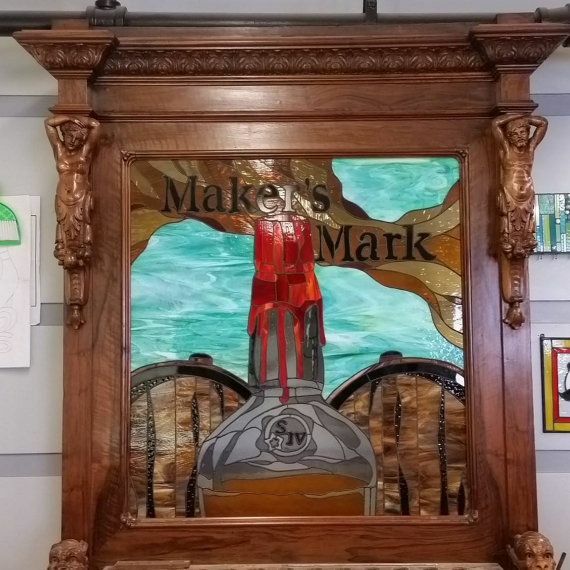 Any bar and pub owners looking for an awesome piece to add to their decor should contact us for a custom piece. Shipping cost: $125 east coast and $225 west coast in the same size. Smaller size can ship fedex cheaper.